Franklin Roosevelt held the first of his famous “fireside chats” just days into his presidency thereby demonstrating his understanding of the importance of bringing accurate and unfiltered information directly from the source to the people. Today, with the help of quickly evolving technology, that tradition is being continued and expanded thru the Roosevelt Library’s Education Department’s distance learning program. Whether you call it a virtual field trip, distance learning, or video conferencing, the ability to bring real-time, interactive learning and information into the classroom via technology is a modern educational miracle. 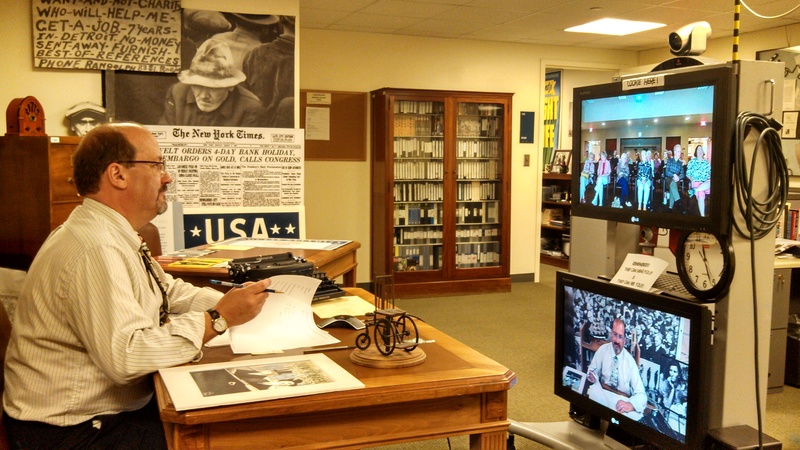 Over the last three years the Roosevelt Presidential Library’s education department has provided dozens of distance learning sessions to thousands of students all across the United States, and as far away as Australia! Classroom students are not the only learners who benefit from distance learning. 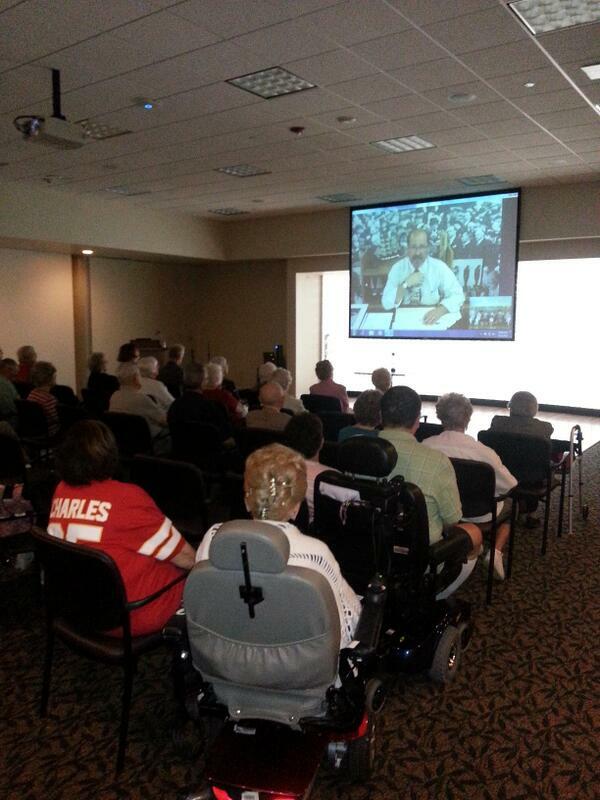 The Roosevelt Library has been a pioneer in providing distance learning sessions to residents of adult and assisted living facilities. These folks are members of the Roosevelt demographic who, due to distance and/or mobility issues, are not able to visit the Library in person. Many of them have first-hand memories of Franklin and Eleanor Roosevelt from their childhood, or can remember their parents talking about them. The interactive nature of the video conference format allows residents to share their stories with the presenter which makes for a far richer session for everyone. Advances in video conferencing technology have made it possible to bring information about the Roosevelts, the Great Depression and World War II to outside venues in an educational, interactive, and economical format. Just as FDR did with his Fireside Chats, we are bringing the information to the people; people of all ages and different situations. We think FDR would be amazed by the technology and very pleased with the results. If you would like more information about distance learning programs, or would be interested in booking a session, contact me at jeffrey.urbin@nara.edu.